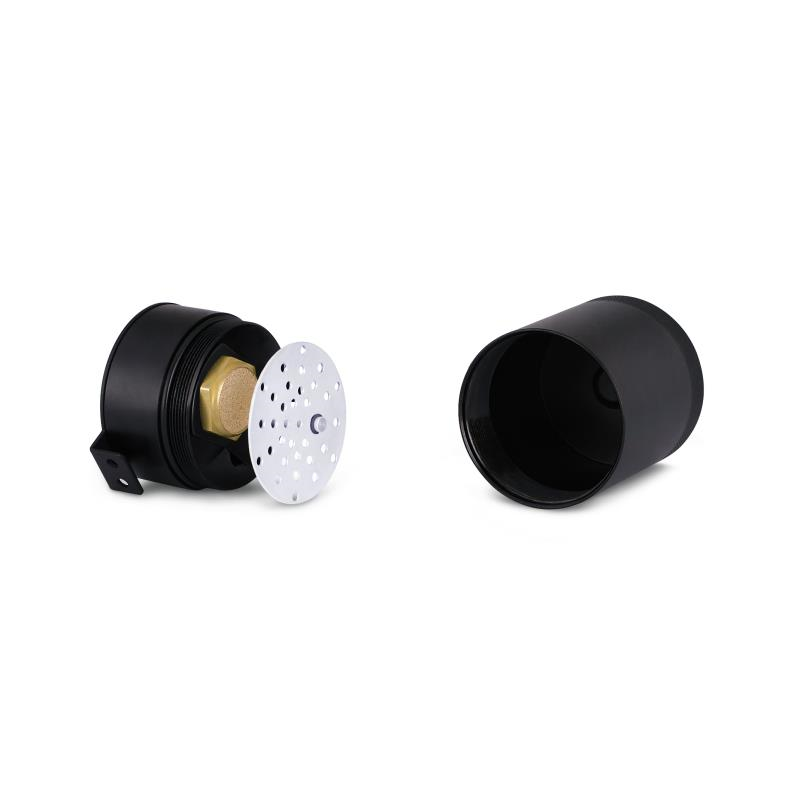 The Mishimoto Focus RS Baffled Oil Catch Can is designed and engineered to reduce carbon buildup, a common issue with direct fuel injection engines. 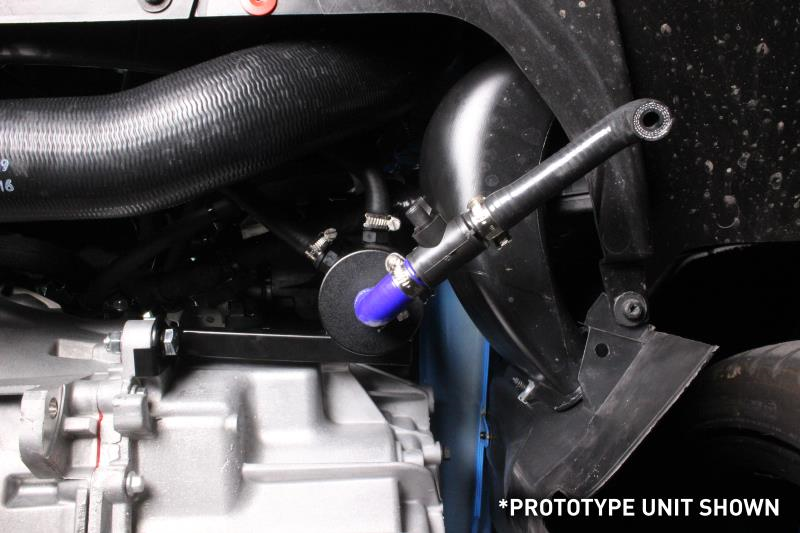 Mishimoto engineers found that most vehicles, placing the catch can in the vacuum assisted PCV system of the vehicle will yield the most amount of oil accumulation during normal and aggressive driving. Where a catch can placed on the crankcase vent system on the left side of the engine will yield very little accumulation on stock or lightly modified vehicles. Having only one catch can, tied into the PCV system will, by far, work the best for the vast majority of Ford Focus RSs on the road. The Mishimoto Focus RS catch can kit uses the Mishimoto 2-Port Compact Baffled Oil Catch Can with a bronze filter, and internal baffled to better separate the oil from the crankcase vapors. 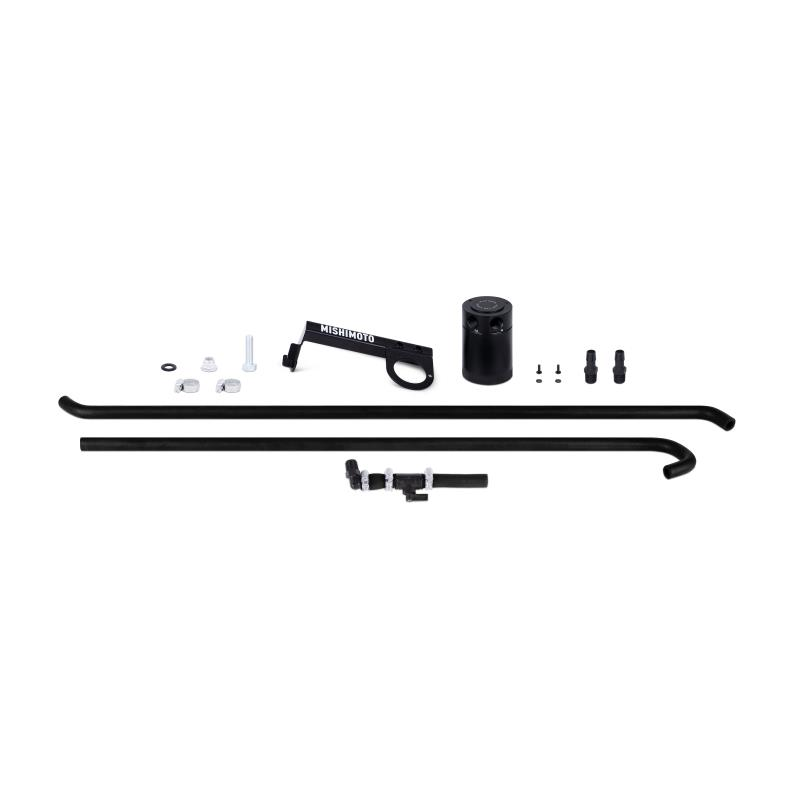 The kit comes with two direct-fit silicone hoses that connect the catch can with the crankcase and intake manifold. 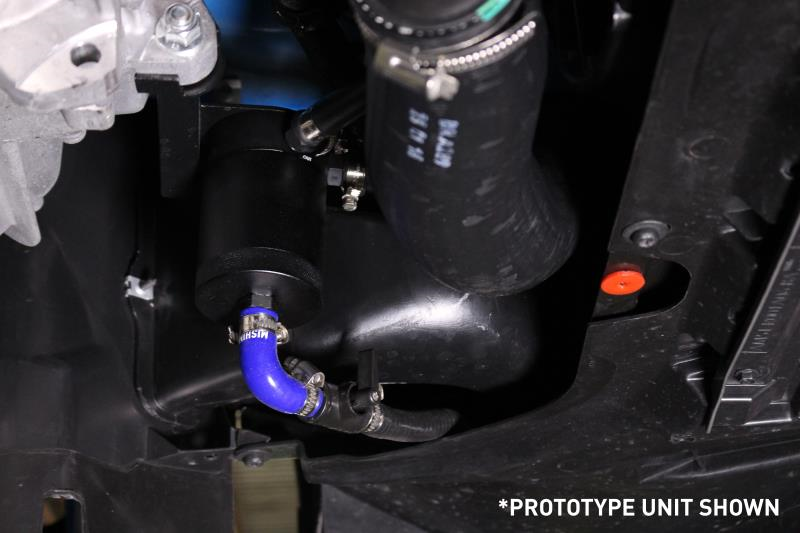 It also includes one direct fit mounting bracket that not only is extremely easy to install but also mounts the can in a serviceable location, right next to the engine’s oil drain plug! Two plastic, 3/8” barb fittings connect the hoses to the can. 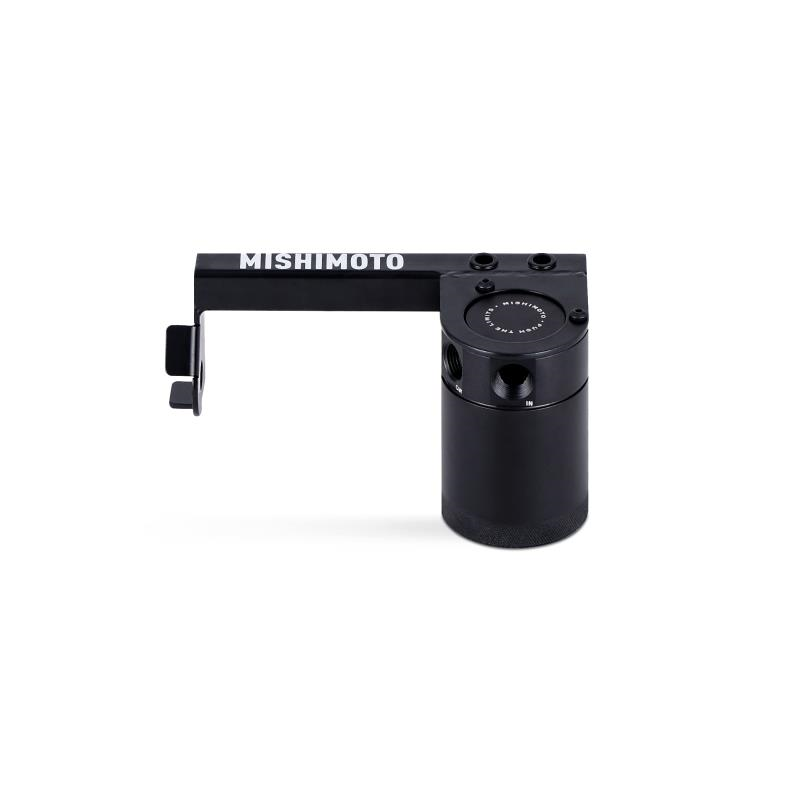 Like all of our products, this baffled catch can kit comes with the Mishimoto Lifetime Warranty! Want this item shipped out tomorrow, April 22? Order within the next 30 hrs 29 mins.